With all the rain we are receiving an increased amount of calls for Armadillos. The past week alone we received seven calls within a three day period with customers stating that they were having damages, burrows along the side of their homes, digging in the flowers beds, caused by armadillos. One homeowner was in Lakewood Ranch and is renting his home. He was out doing some yard work and found a large hole on the side of the home. He phoned us and after describing the damages that were present it was determined that he had an armadillo issue. 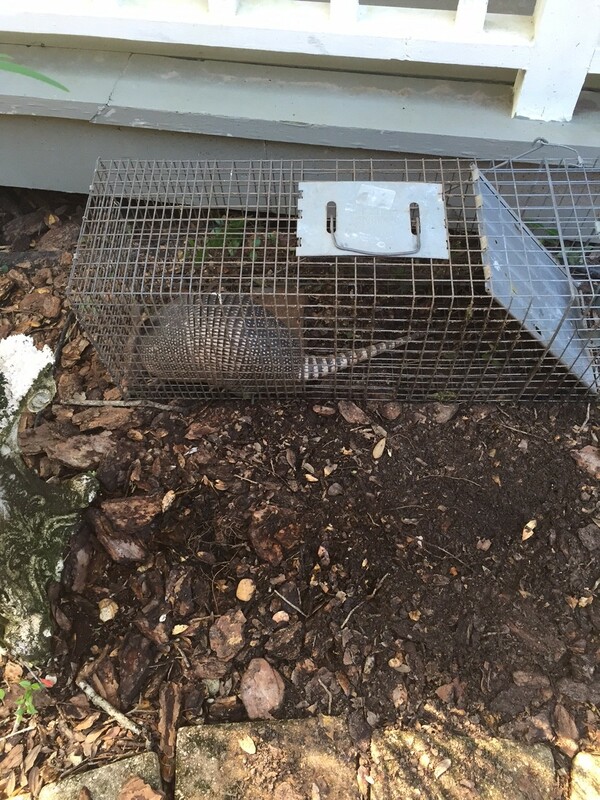 We set up an appointment and within three days had successfully trapped two armadillos. Another call came in from the north in Fishhawk with the customer complaining that he had seen an armadillo and was waking up to flower bed damage almost everyday. Again, we set a trap and caught the armadillo within two days. Of course both customers were extremely happy with the success of the trapping. They both had concern with the recent increase In Leprosy reports in Florida. As of July 17th 2015 nine people have been diagnosed with the disease so far this year. Whether living in Lakewood Ranch, Sarasota, Fish Hawk or any other city in Florida caution should be used when gardening / digging in your flower beds where armadillos are present you do not want to become a statistic or carrier of leprosy. Also keep your pets away from those areas as well. Have the armadillos trapped and removed will keep your families safe.